Numbers show that in 2010, there were around 1 billion people starving in the world making it 14% of the world’s population. Despite this it is produced enough food for everybody to eat as the world’s agriculture is producing 17% more calories each person today than they did 30 years ago even if the world’s population has increased with 60%. This is enough to feed every single person with 2500 calories daily. Unfortunately, many people don’t have the income to buy food or access to cultivated soil. Other factors that play in is natural disasters, wars and poverty. Much of these calories end up in the landfills in the western countries. USA as an example, supplies its population with almost 4000 calories each day, more than what an average person needs daily. Their focus on light/diet products instead of healthy food has contributed to more morbid obesity in the world rather than food shortages and malnutrition. Half of what we eat is enough for us, the other half makes the doctors salary. Somalia, one of the harshest places on earth has given huge challenges to its people in terms of simple survival. The legacy of a nomadic life way of life and a civil conflict that has shattered social structures and provided poverty giving Somali children of surviving to adulthood are among the lowest of children in the world. The odds of the child’s mother dying during pregnancy or in childbirth are also extremely high. Diarrheas disease-related hydration, respiratory infections and malaria are the main killers of infants and young children. 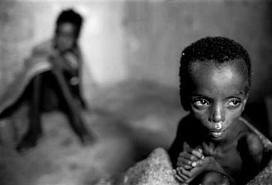 Cholera is endemic in Somalia, with the threat of outbreaks recurring annually during the season from December to May. The major underlying causes of diarrhea are the lack of access to safe water, and poor food and domestic hygiene. Malnutrition is a chronic problem in all areas, and becomes acute when areas are struck by drought or flood, or where localized conflicts flare up. These and other birth-related problems are a further cause of many infant deaths, while measles and its complications result in widespread illness. The reason for this is poor nutrition and transmission is rapid where living conditions is crowded, resulting in a high death rate. Somalia is among countries with the highest incidence of tuberculosis in the world. Overcrowded conditions in camps where many displaced people are living, general lack of treatment facilitates, poor quality drugs and malnutrition keeps tuberculosis as one of the country’s main killer disease. Lack of access to safe water is a striking feature in almost all parts of Somalia. Probably less than 1 in every 3 households uses an improved drinking water source. A result of erratic rainfall patterns which are responsible for both droughts and floods, and destruction of water supply installations during civil war. Only 37% of the population of Somalia has access to adequate sanitation. Poor hygiene and environmental sanitation are major causes of diseases such as cholera among children and women. The impact of poor environmental sanitation is felt in the cities, towns, large villages and other places where people are living in close proximity to each other with waste disposal adjacent to dwellings. Lack of garbage collection facilities is another factor affecting the urban environment and polluting water sources. Primary school years Somalia is a country where schooling is available to very few children. A child of primary school age has only about a 1 in 5 chance of attending school. As a result of the collapse of the centrally government in 1991 and the ensuing long years of conflict, schools where destroyed and abandoned. Only now is rehabilitation of the damaged building beginning to take place. Most schools are financed from fees or other forms support from parents and communities, with some input from external agencies. For a girl child in Somalia, the prospects of attending school are even poorer. Result of previous school surveys reflects the same pattern. The high dropout rates of girls in most areas are due to a combination of traditional attitudes. Those that have been displaced within the country, such as people driven from their homes by conflict, drought, floods or other factors. Children from minority groups, the very poor or orphans. 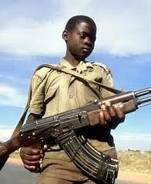 Children living on the streets, militia children and children on conflict with the law. Girls are specially disadvantaged in most of these categories. Gender discrimination is deeply rooted in the traditional sociocultural structures of Somali society and is a formidable barrier to women’s participation in decision-making and access to resources. 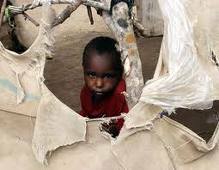 UNICEF officials are concerned that the current situation in Somalia will have lasting consequences for Somali society. Children continue to bear the brunt of the conflict, and many lack access to even the most basic services. Fighting has killed and injured numerous children. Many are recruited into armed conflict. In additional to the traumas of conflict, children in Somalia faces a myriad of other challenges, from education to health sanitation concern. Safe water is also scarce. Only 29% of the population has access to safe water, and this is being aggravated by droughts. Nutrition continues to be a critical concern, with 1 in 5 children acutely malnourished, and 1 in 20 severely malnourished on the risk of death without proper treatment. July 22, 2010; According to USAID, flooding and limited access to sanitation facilities and safe drinking water has continued to increase the spread of waterborne diseases in the country. According to health officials, there has also been increased incidence of acute watery diarrhea (AWD) from reports made in Banadir Hospital in Mogadishu about 100 AWD cases from Banadir hospital, including 90 cases in children under five years of age and three related deaths, representing a 24% increase compared to the number of cases reported during the the previous month. Between January and May, health officials reported more than 25,000 AWD cases and 51 deaths countrywide, including approximately 18,000 cases in children under five years of age and 48 related deaths. 2011; The humanitarian community has improved access to sanitation facilities for more than 200,000 conflict-affected individuals and conducted hygiene promotion activities for more than 1 million people in 2010 but it is not enough for the war-stricken country as the ongoing political instability has prevented most of the aid agencies from delivering much of the food and clean water. Almost 6 million people have been hit hard by the drought in the country and 1 in 6 children have become malnourished says UN reports. Juba has the greatest proportion of acutely malnourished children – at 30% probably the highest rate anywhere in the world. This is due mainly to a lack of clean water, leading to diarrhoea, and reduced access to milk, as families move their livestock ever further away in search of pasture. Across southern Somalia, one in four children is acutely malnourished. The shattered political system does also complicate the matter as the terrorist group Al-Shabaab has banned more than 20 international relief agencies even when most of the aid offices are in the capital, they do see it as a big challenge to deliver to those in controlled districts.